Crystal Palace came from a goal down to beat Southampton 2-1 in the Premier League and apply more pressure on Mauricio Pellegrino. 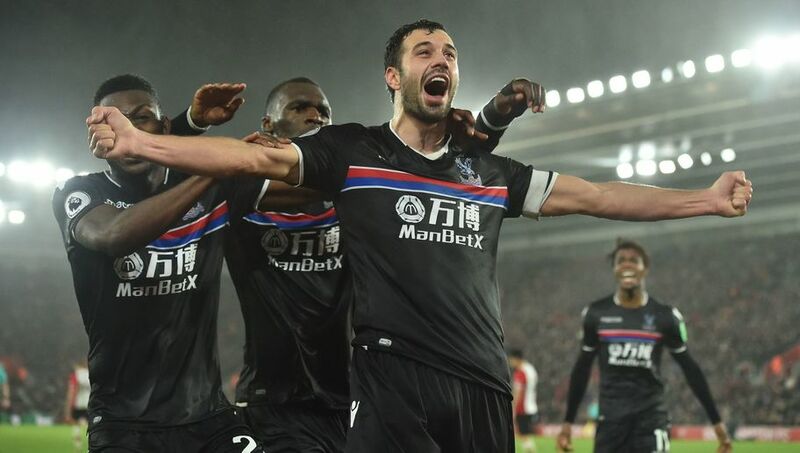 Luka Milivojevic made up for his stoppage-time penalty miss against Manchester City with a sublime winning goal as Crystal Palace came from behind to beat Southampton 2-1. Milivojevic saw his spot-kick saved by Ederson at Selhurst Park on Sunday as Palace ended City's 18-game winning streak with a 0-0 draw, but his strike on Tuesday could be even more significant. With 10 minutes remaining, the midfielder was found in acres of space by Andros Townsend and stroked the ball home first time to secure Palace's first win at Southampton in nine Premier League visits. Shane Long looked like being the star of the show as he ended his 1320-minute goal drought in the league with a crisply taken first-half strike. However, James McArthur levelled things up as Palace finished strongly, before Milivojevic snared a massive win for the Eagles. The three points lift them above Southampton and into 14th position, two clear of the drop zone, while the Saints slipped further into trouble after a ninth game without a win. Without a goal since February, the pressure had been on lone striker Long to deliver and, with 17 minutes on the clock, he finally found the back of the net. Long – who missed a great chance in the opening minute – was found by Jeremy Pied's perfectly placed low cross and the Irishman lashed the ball home, his effort fizzing in off Wayne Hennessey's left-hand post. The goal helped settle Southampton but extending their advantage proved difficult, and they needed the fingertips of Alex McCarthy to deny Townsend an equaliser just after the half-hour. It was a fleeting moment of danger on the home goal, though, and Southampton would have gone into the break two goals ahead had the treacherous conditions not hampered Sofiane Boufal, the attacker slipping at the crucial moment when unmarked at the back post. As the rain continued to come down it became difficult for either side to enjoy spells of quality possession and the start to the second period was extremely scrappy. Shortly after the hour mark, Benteke provided a much-needed bit of class as he turned Maya Yoshida in the penalty area but McCarthy was equal to his low effort. It signalled a Palace revival and they found a leveller after 69 minutes, McArthur ghosting into the area to fire past McCarthy from Benteke's superb knock down. With momentum on their side it was the Eagles who finished the match strongly and they got their reward late on, with Milivojevic producing a stunning first-time effort from Townsend's pass to continue the Roy Hodgson revival.